Why buy the ordinary when you can have the extraordinary? There are hundreds of 3/2 homes in this price range within Greenville County. 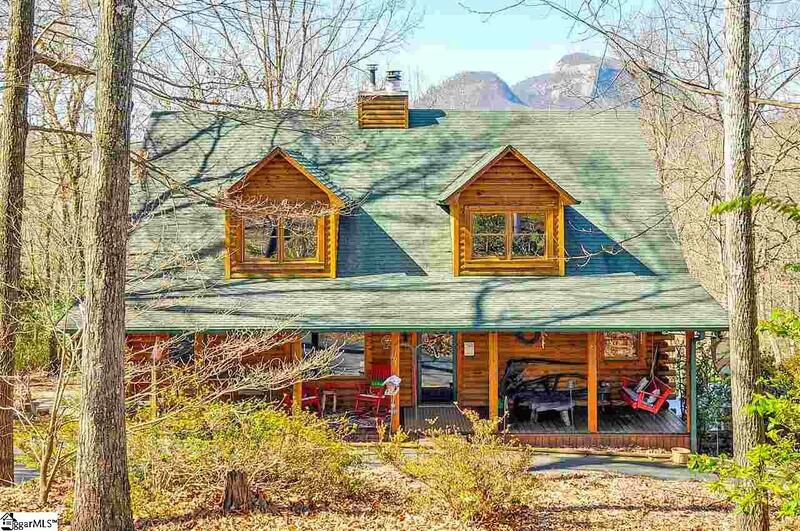 However, there is only ONE log home on 6 acres with a stunning view of Table Rock! This location is truly one of a kind! Convenient to so many amenities. 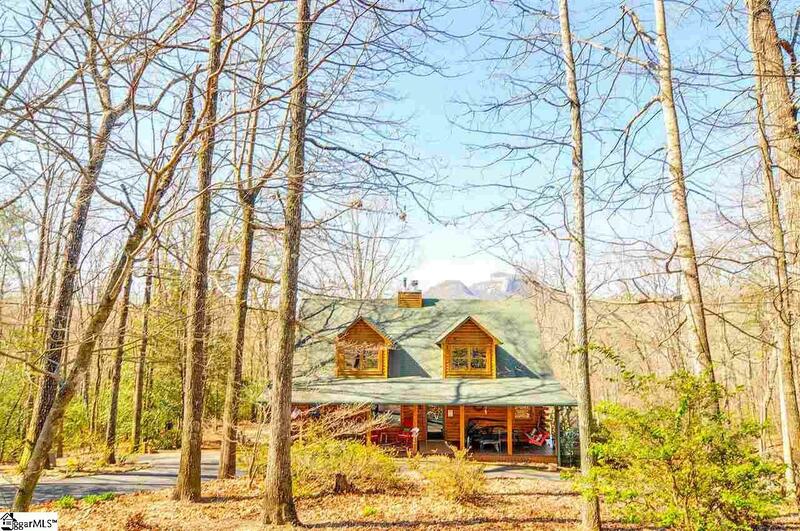 Greenville and Hendersonville are a short and gorgeous 30 minute drive. Five state parks surround the area including: Table Rock State Park, Jones Gap State Park, Dupont State Forest, Gorges State Park and the Mountain Bridge Wilderness Area. Nature lovers, your oasis awaits! 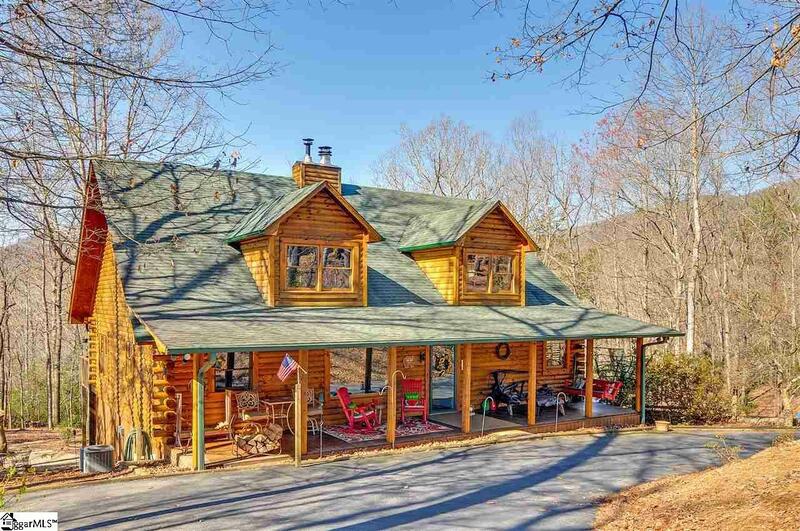 Quality craftsmanship and meticulous detail abound in this custom built log home. From the real pine walls and flooring to the breathtaking exposed beams in the cathedral ceiling. You will feel like you are visiting a vacation home every day. In the living room, relax in natures ambiance while listening to the crackling of the fire from the two-story stacked stone fireplace and gazing at your personal view of Table Rock. This three bedroom, two bath home has the master on the main level; complete with generously sized walk-in closet and large en suite with jetted tub, separate shower and a secret laundry shoot. The nicely sized second bedroom is also on the main level and is adjacent to the second full bath which contains a charming clawfoot tub and separate shower. Move up to the second floor and you will find a large loft as well as the third bedroom loft area. The third bedroom area contains a very large additional room that is currently used as the closet for the bedroom. However, it could easily be turned into an office space or additional bedroom with the addition of a window. Moving down to the basement you will find it partially sheet rocked and also plumbed for a bathroom. The basement currently contains the laundry room, a workout room, and a shop. It could be easily converted into additional living quarters. Hot water heater, air conditioner and kitchen appliances are newer. Some appliances to remain. Washer and dryer do not convey. All furniture and decor are negotiable. 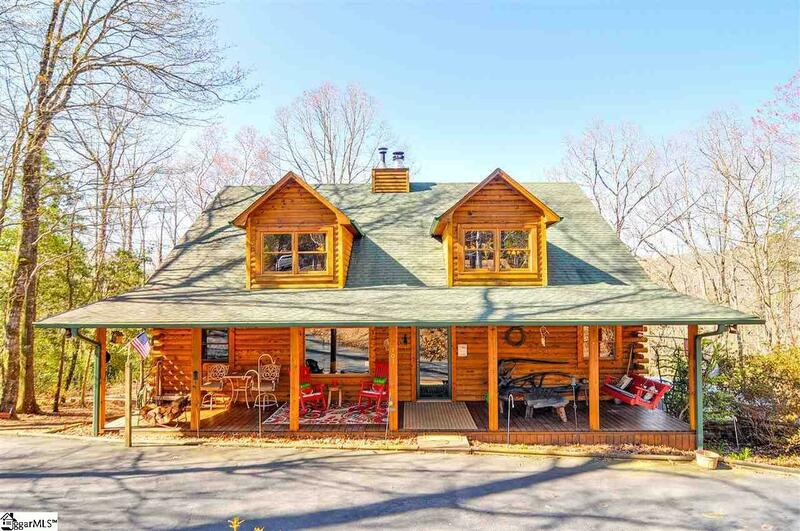 Enjoy the peace and tranquility of nature from your large front porch or back deck. This truly is a one-of-a-kind home! If square footage is important to buyer, buyer must verify. Listing provided courtesy of Michael Coates of Joy Real Estate.